A special episode dedicated to art FUTURISM IN A CUP From the Lavazza Bar @ Guggenheim. 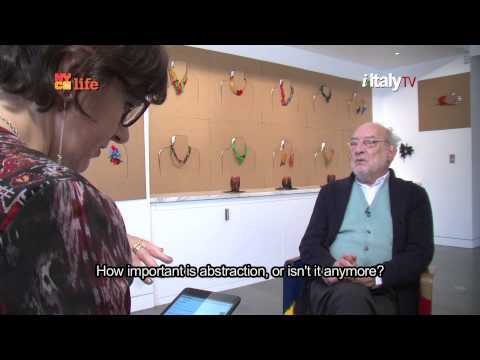 Francine Segan interviews Vivien Green, Senior Curator at the Guggenheim Museum and Ennio Ranaboldo, Chief Executive Officer of Lavazza USA TIME. DIVERSITY. PROVOCATION. 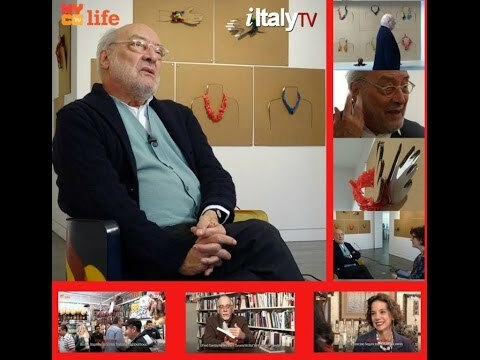 Meet Gaetano Pesce. 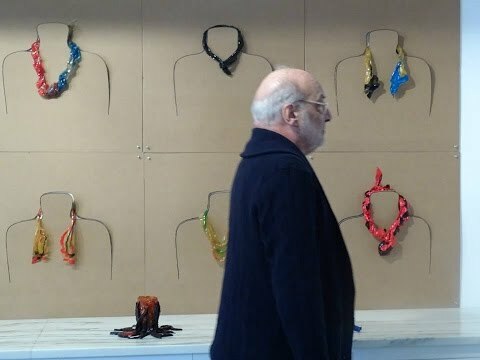 Come along to the Soho studio of famous architect and designer and learn about his art and his current retrospective in Rome at the MAXXI Museum. Interview by Letizia Airos. STREET ART IN ITALY 10 Contemporary Artists. An overview of the current exposition at the Italian Cultural Institute. ITALIAN FUTURISM AT THE CUGGENHEIM MUSEUM A special visit with Steve Acunto. Let i-Italy bring you the best of the Italian experience in NY. Join us on NYC TV every Saturday (11:00pm) and Sunday (1:00pm) on Channel 25 or 22. Saturday (11 pm) and Sunday (1 pm) on channel 22 or 25 New York area In this episode: AMERICANS IN LOVE WITH ITALY In our new series Francine Segan meets Eric Asimov, wine and food critic for the New York Times DOLCEVITA An odd couple at "Mulino a Vino" - 3 With chef Davide Scabin and pleasure activist Fred Plotkin PEOPLE Professor Fred Gardaphe interviews writer Maryann Maisano EVENTS The 70th annual Columbus Day Parade on 5th Avenue and i-Italy! The new season of i-ItalyNY is speeding ahead! 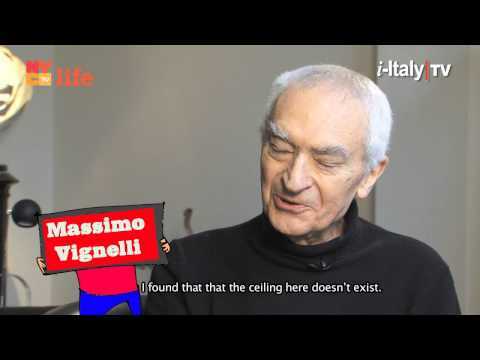 Airing on Saturday @11pm and Sunday @1pm on NYC Life - Ch 25 and 22 - PEOPLE: Massimo Vignelli, the acclaimed visionary architect and designer, died in his home in Manhattan (May 27, 2014). He was 83.He was very important for i-Italy, he designed our logo, and our Fiat 500. And above all he was our friend. 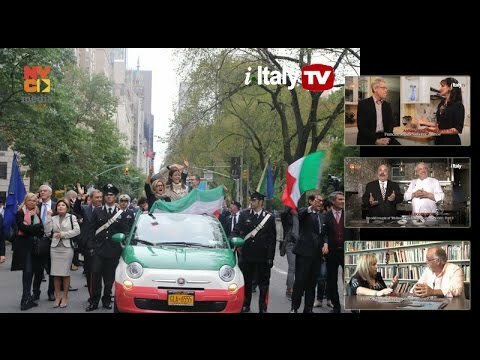 We would like to say Arrivederci with this exclusive past interview - THE ITALIAN CITY: Italy's Foreign Minister meets Italian-American Mayor Bill De Blasio - LA DOLCE VITA: Our PASTA MANIA series continues with a Roman classic, "Bucatini Cacio e Pepe" A special recipe sponsored by DE CECCO - USA. - ITALIAN GENIUS: Calandra Institute's Dean Anthony Tamburri reviews "The Untold Story of Luigi Del Bianco" a book by Douglas J. Gladstone. - EVENTS IN NYC: La Scuola d'Italia Guglielmo Marconi turns 37. Happy Birthday! Let i-Italy bring you the best of the Italian experience in NY. Join us on NYC TV every Saturday @ 11:00pm and Sunday @ 1:00pm on Channel 25 or 22. 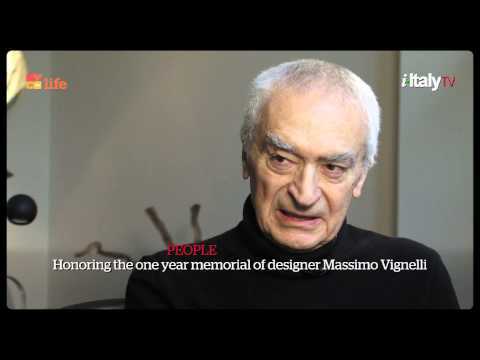 PEOPLE Massimo Vignelli, the acclaimed visionary architect and designer, died in his home in Manhattan (May 27, 2014). He was 83. He was very important for i-Italy, he designed our logo, and our Fiat 500. And above all he was a friend. We would like to say Arrivederci with this exclusive past interview THE ITALIAN CITY Italy's Foreign Minister meets Italian-American Mayor Bill De Blasio LA DOLCE VITA Our PASTA MANIA series continues with a Roman classic, "Cacio e Pepe". A special recipe sponsored by DE CECCO - USA. EVENTS La Scuola d'Italia Guglielmo Marconi turns 37. Happy Birthday! 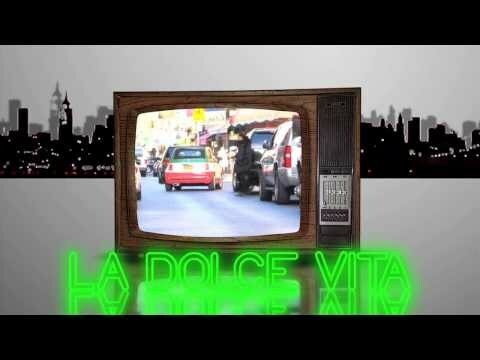 Watch the trailer Let i-Italy bring you the best of the Italian experience in NY. Join us on NYC TV every Saturday (11:00pm) and Sunday (1:00pm) on Channel 25 or 22. La FondazioneNY holds a gala benefit for Italian culture at The Morgan Library & Museum of New York. Here are our interviews with JOHN ELKANN, MASSIMO VIGNELLI, RICHARD MEIER, RICCARDO VIALE, NATALIA QUINTAVALLE. We then take a ride to DI PALO'S in LITTLE ITALY for Christmas food shopping ideas with MICHELE and CHARLES SCICOLONE. After that, Brooks Brothers Ceo CLAUDIO DEL VECCHIO shares his family and business experience in bringing an Italian presence toAmerica, and STEFANO ALBERTINI reviewes the film MIELE by Valeria Golino. Finally, a look at the LEONARDO DA VINCI exhibit from Turin on view at the Morgan Library, and special Puglia sounds from DONPASTA mixing music and food. 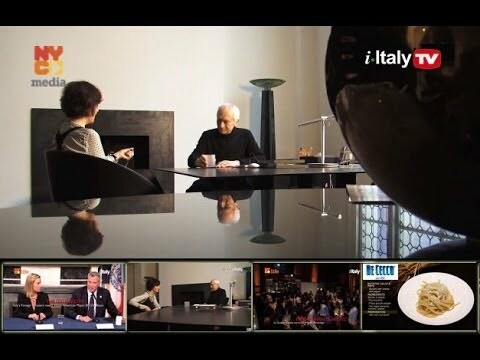 Tune in and let i-Italy|NY bring you the best of the Italian experienc Join us on NYCTV every Saturday (11:00pm) and Sunday (1:00pm) on Channel 25 and 22. La Fondazione NY, an organization which promotes young Italian talent, holds a gala benefit for Italian culture with JOHN ELKANN and MASSIMO VIGNELLI. We then take a ride to DI PALO'S in LITTLE ITALY for Christmas food shopping ideas with MICHELE SCICOLONE. Brooks Brothers CEO, CLAUDIO DEL VECCHIO, shares his family business experience and bringing an Italian presence to an American establishment. Plus, a review of the film MIELE from STEFANO ALBERTINI with at look at the LEONARDO DA VINCI exhibit on view from Turin and Puglia sounds with food from DONPASTA. 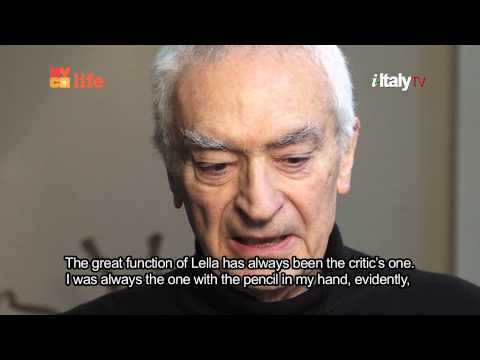 Founded by legendary designer Massimo Vignelli, La Fondazione's mission is that of supporting young Italian and American talents through several projects with the objective of creating a cultural bridge between Italy and the US. 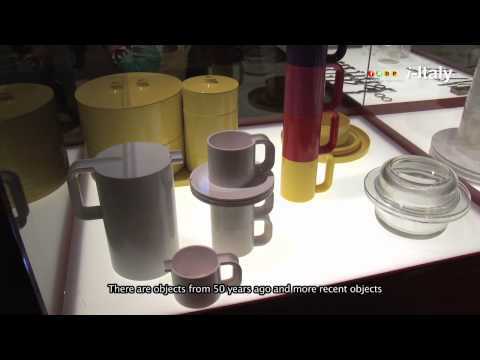 The winners of the Top Young Italian Industrial Designers Contest organized by LA FONDAZIONE at the Italian Cultural Institute of New York, with MASSIMO VIGNELLI (1:06). Followed by IACE's Hands-On Pasta Making lesson with famed GIOVANNI and ANTONELLA RANA at their restaurant in Chelsea Market (08:11). Then, the students of the journalism course at LA SCUOLA D'ITALIA GUGLIEMO MARCONI interview Italian-American chef and author LIDIA BASTIANICH (13:19); Plus, "Doppio Senso" with translator MICHAEL MOORE (19:25), the "Marche is Good" event at SCAVOLINI (20:21), and ILICA's simposium "Italian Identity in the Third Millennium" at the John D. Calandra Italian American Institute (23:48). 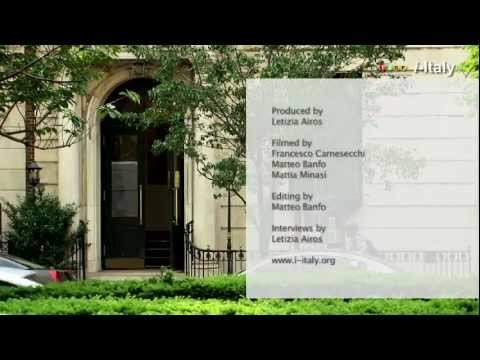 Tune in and let i-Italy|NY bring you the best of the Italian experience in and around New York City, including food, culture, art, music, books, cinema, and the performing arts. 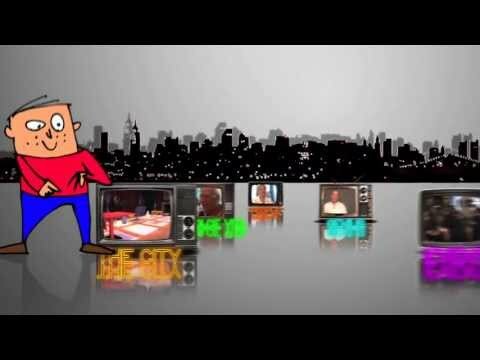 Join us on NYCTV every Saturday (11:00pm) and Sunday (1:00pm). Coming up this weekend on i-Italy|NY NYCTV (Channel 25) on Saturday 11pm and Sunday 1pm. Take a look at the Trailer The winners of the Top Young Italian Industrial Designers Contest organized by LA FONDAZIONE at the Italian Cultural Institute of New York, with MASSIMO VIGNELLI. Followed by IACE's Hands-On Pasta Making lesson with famed GIOVANNI and ANTONELLA RANA at their restaurant in Chelsea Market. Then, the students of the journalism course at LA SCUOLA D'ITALIA GUGLIEMO MARCONI interview Italian-American chef and author LIDIA BASTIANICH; Plus, "Doppio Senso" with translator MICHAEL MOORE , the "Marche is Good" event at SCAVOLINI, and ILICA's simposium "Italian Identity in the Third Millennium" at the John D. Calandra Italian American Institute. ---- Tune in and let i-Italy|NY bring you the best of the Italian experience in and around New York City, including food, culture, art, music, books, cinema, and the performing arts. Join us on NYCTV every Saturday (11:00pm) and Sunday (1:00pm). The Italian Cultural Institute in New York displays designs by the ten winners of the Top Young Italian Industrial Designers Prize. The winners were chosen based on academic achievement, design innovation, and the production functionality of their individual projects. Their visit to New York bring the winners international visibility, as well as the opportunity to meet and network with industrial design professionals, museum curators, and academics. The prize has been established by Riccardo Viale, director of the Italian Cultural Institute, and curated by architect Massimo Vignelli, president of La Fondazione NY. "Best of" Edition featuring highlights of memorable guests such as: Jovanotti Massimo Vignelli and Alessandra Ferri Plus, an i-Book recommendation from Fred Gardaphe. Every week "i-Italy|NY" brings you the best of the Italian experience you can find in New York City, including food, culture, art, music, books, cinema, and performing arts. More on www.i-Italy.org Join us on Channel 25 every Saturday (11:00pm) and Sunday (1:00pm). 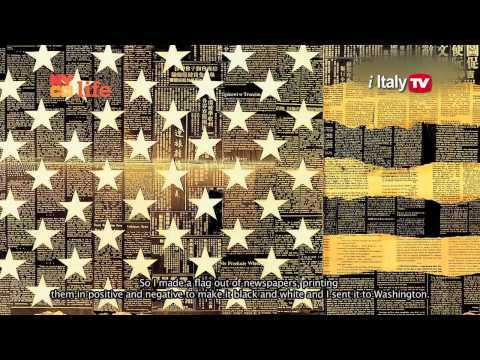 This is the fourth episode of "i-Italy|NY" on NYC Life - Chanel 25. Every week "i-Italy|NY" brings you the best of the Italian experience you can find in New York City, including food, culture, art, music, books, cinema, and performing arts. This week let Riccardo Costa put you in a Holiday mood as he shops for Italian Christmas specialites around the NYC area. Meet Rosanna the cook from Abruzzi, hear what singer Elisa told us in an interview after the release of her new record in the US, see what INTER team was doing at the UN, and listen to what Fred Kuwornu says about being born of immigrant parents in Italy... ...and of course the i-Plotkin segment will bring some novelty as well... More on www.i-Italy.org Join us on Channel 25 every Saturday (11:00pm) and Sunday (1:00pm). 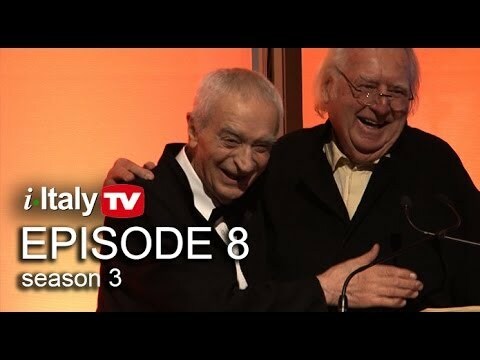 This is the third episode of "i-Italy|NY" on NYC Life - Chanel 25. Every week "i-Italy|NY" brings you the best of the Italian experience you can find in New York City, including food, culture, art, music, books, cinema, and performing arts. Join us on Channel 25 every Saturday (11:00pm) and Sunday (1:00pm). 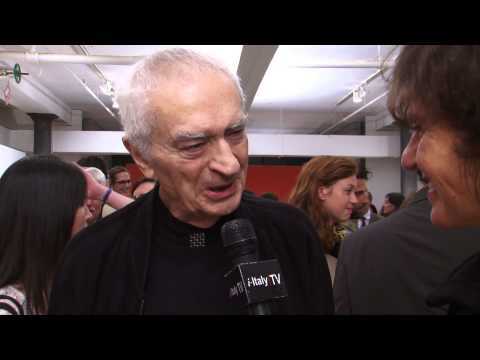 The Italian Cultural Institute of New York is hosting an exhibition celebrating the Italian architect and designer Massimo Vignelli from Tuesday, June 05, 2012 to Friday, July 13, 2012. On view will be a selection of works designed by Massimo and Lella Vignelli in almost fifty years of anoutstanding career.